What is happening in our brains when we smile? 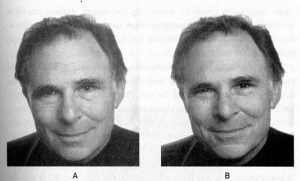 Smiling then, seems to give us the same happiness that exercising induces in terms of how our brain responds. In short: our brain feels good and tells us to smile, we smile and tell our brain it feels good and so forth. Real versus fake smiles, can we tell the difference? Whenever we smile, there are 2 potential muscles we activate. 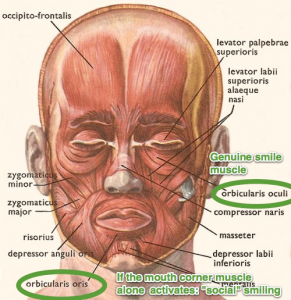 The first one is the zygomaticus major and it controls the corners of your mouth. Whenever this muscle only is activated, it’s not actually a genuine smile. Scientists call this also the “social” smile. The second muscle, known to show sincerity is the obicularis occuli and it encircles our eye socket. So the fact that we can’t try it for ourselves, leaves us almost unable to identify any smile as fake or real. https://absolute-dental.co.uk/wp-content/uploads/2016/11/absolute-logo-NEW1.png 0 0 Absolute Admin https://absolute-dental.co.uk/wp-content/uploads/2016/11/absolute-logo-NEW1.png Absolute Admin2018-02-20 10:15:352018-02-13 08:58:45What is happening in our brains when we smile?